Spectacular and contemporary, the Octo Finissimo Ultranero Skeleton from Bulgari is presented in a steel case with D.L.C. (Diamond Like Carbon) coating made even more striking with its 18kt pink gold bezel and screw-lock crown with ceramic insert. 40 mm in diameter, the total thickness is just 5.37 mm. Through the sapphire crystal caseback with 18kt pink gold screws, we admire the ultra-thin entirely skeleton-worked Manufacture BVL Calibre 128SK – just 2.35 mm thick. This hand-wound mechanical movement (28,800 vph) features a black-coated baseplate and bridges, with circular satin-brushed decoration and chamfering. On the skeleton dial, we read hours and minutes, small seconds at 6 o’clock, with a 65-hours power reserve indication between 9 and 10 o’clock. The integrated alligator leather strap with D.L.C. coated titanium pin buckle further enhances the outstanding look of this timepiece that is water resistant to 30m. Priced at CHF24,500. From its collection of classic watches, De Bethune brings us a magnificent interpretation of the perpetual calendar with this DB25QP Black Gold Automatique. Equipped with the mechanical self-winding calibre DB2324 with a power reserve of 5 days, this model is presented in a round 44 mm x 11.1 mm rose gold case with integrated, hollowed lugs, encircling a black hand-guilloché dial with 12 radiating sectors. Curved hands in hand-polished rose gold, indicate the hours, minutes, and the date in a subdial at 6 o’clock, while apertures indicate the month at 3 o’clock and the day of the week at 9 o’clock. The spherical moon-phase indication in palladium and black oxide zirconium at 12 o’clock is surrounded with inlaid stars and a gold pastille to indicate leap year. Three positions on the crown enable winding, date and time setting, with the month, day of the week and moon phase adjusted via correctors. An open back in polished rose gold and sapphire crystal, and an alligator skin strap with rose gold pin buckle add to the beauty of this timepiece, priced at CHF160,000 excluding taxes. Hublot, heavyweight of the “black league”, lightens up with the Big Bang Unico Sapphire All Black. The transparency of a 45 mm case and bezel crafted from blocks of black polished sapphire crystal, coupled with skeleton work on the dial, allow us to see into the proprietary Unico automatic flyback chronograph movement with column wheel and double clutch. A case-back in the same polished sapphire crystal provides a further look inside. Beneath the front crystal sapphire with interior/exterior anti-reflective coating and Hublot logo, the black polished transparent composite resin skeleton dial features appliques and hands with black luminescent coating and a date window at 3 o’clock. Black PVD-coated titanium elements punctuate the black sapphire crystal. To complete the look, the structured, ribbed strap with black PVD titanium deployant buckle is equally black and transparent. The HUB 1242 UNICO movement with black PVD coating boasts 72 hours of power reserve. 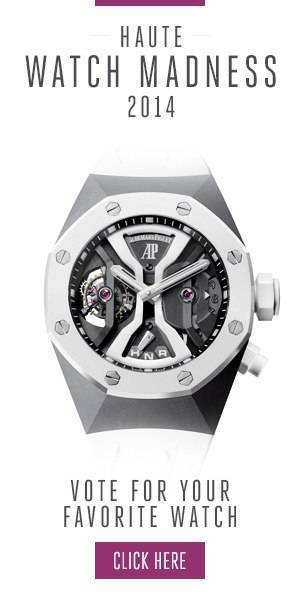 Water resistant to approximately 50 meters, this timepiece is priced at EUR63,000. Known for styles and materials inspired by aeronautical and automotive engineering, Richard Mille is also master of ocean race timing, as demonstrated with the RM 015 Tourbillon Perini Navi. The shapes of the crown and the case outlines, the tourbillon and winding barrel bridges, and titanium screws of the case and movement all echo nautical details found on the Italian luxury yachts Perini Navi. Presented in a 48 mm x 39.30 mm x 13.84 mm tonneau-shaped case, here in black ceramic, this timepiece is equipped with the calibre RM015 Marine manual winding tourbillon movement with hours, minutes, second time zone adjusted via a pusher at 9 o’clock, power reserve indicator, torque indicator and function selector with a display at 4 o’clock. It features the free-sprung balance with variable inertia for better reliability against shocks, better chronometric results over an extended period of time, and efficient movement assembly and disassembly. Hand-finishing of the movement includes anglage and polishing, burnished pivots, concave chamfering and circular finished faces. Price POA. 3 White Hot Diamond Jewelry Pieces for the Holidays from Top Jewelry Designers Coin, Webster, Gabriel & Co.